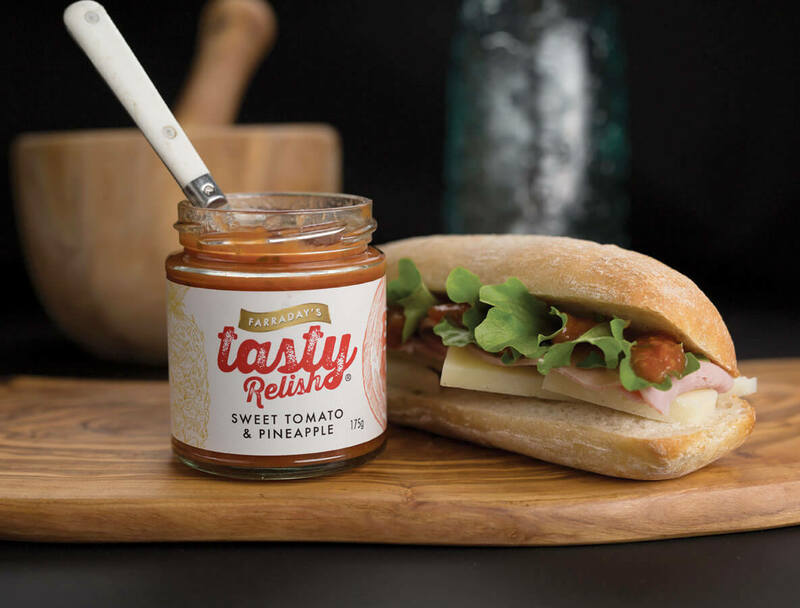 Here at Farraday’s Tasty we’re always on the lookout for new places to sell and serve our delicious range of products. Our stockist list is growing and we’d love to add your name to it. Since 2015 we’ve gone from just 1 product to 13 products that are now enjoyed worldwide. A chef for 28 year David Farraday owned one of the longest running restaurants in Bowness in the heart of the English Lake District on the shores of Lake Windermere for 22 of those years. He has always loved inventing and created plates with a twist. 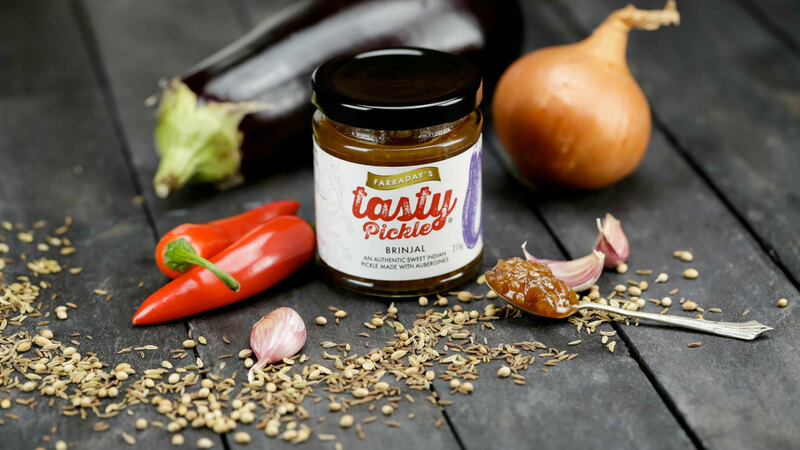 Using quality ingredients and suppliers, often taking my inspiration from all over Europe and beyond David today has creates and makes in the Lake District his range of Stay Tasty products. 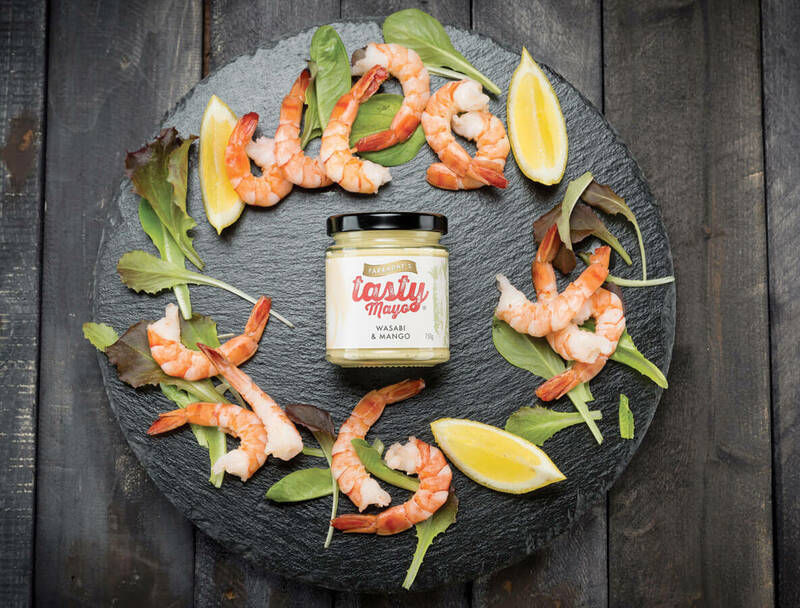 Our stockists range from international stores to local farm shops, restaurants and cafes across the UK. See our full range of stockists here. Do you want to serve our products? They make a great addition to cheese boards, gourmet burgers, fish dishes and more. 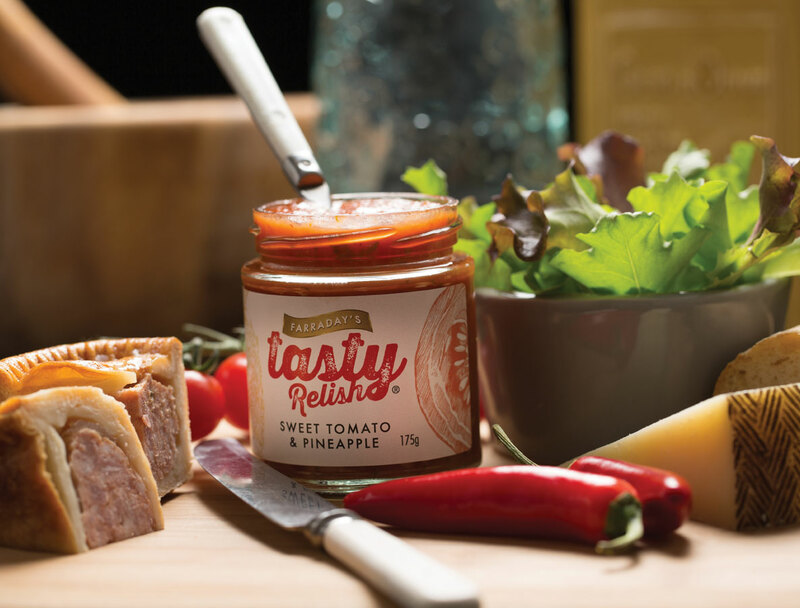 Farraday’s Fact – the entire product range has been created by chef, David Farraday. 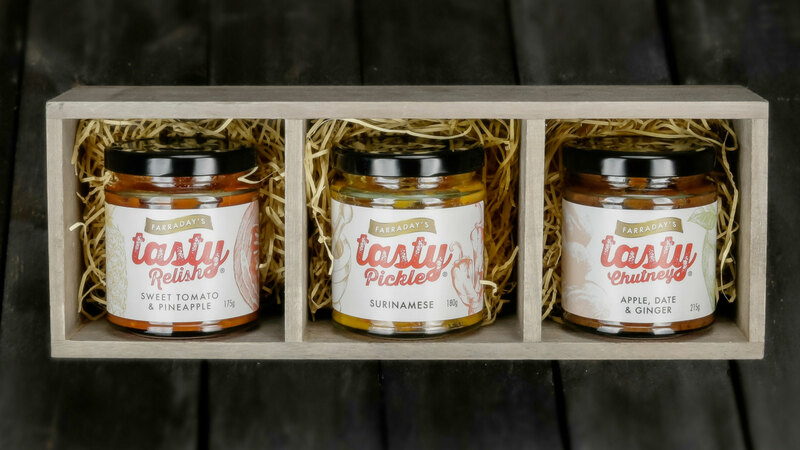 We love nothing more than seeing our jars up on a shelf [except for when they’re in a customer’s basket. 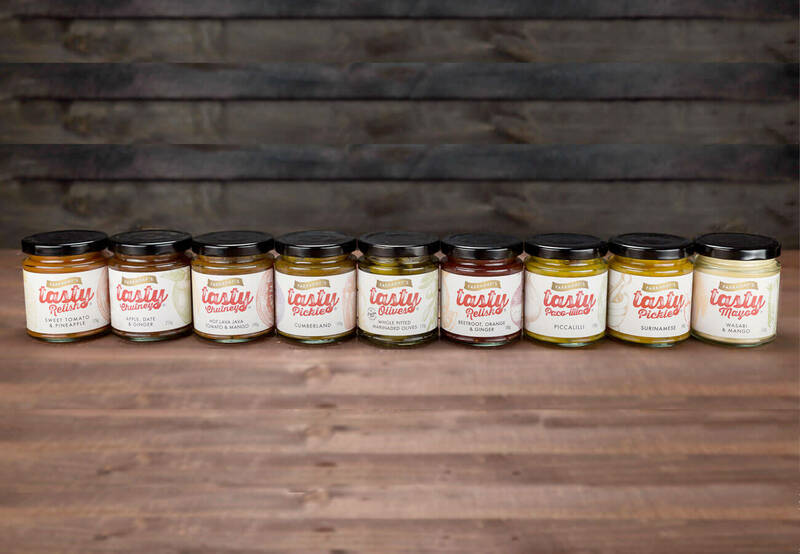 If you’re interested in stocking our jars, then please contact us and we will send across all pricing details. 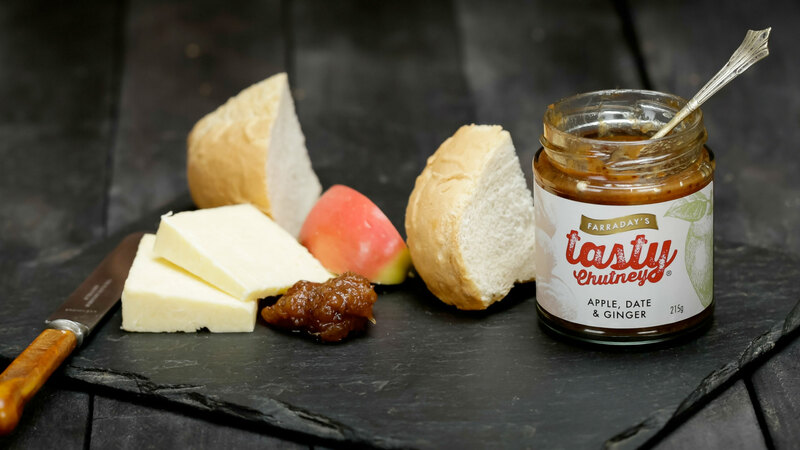 Our jars make great single, one-off purchases but are also great added to themed hampers such as Cumbrian Hampers, Chilli Hampers, Cheese Hampers and more. No problem! We’re out and about all over the country this year so come and see us at one of our events or if you’d like an individual tasting at your location then please get in contact. 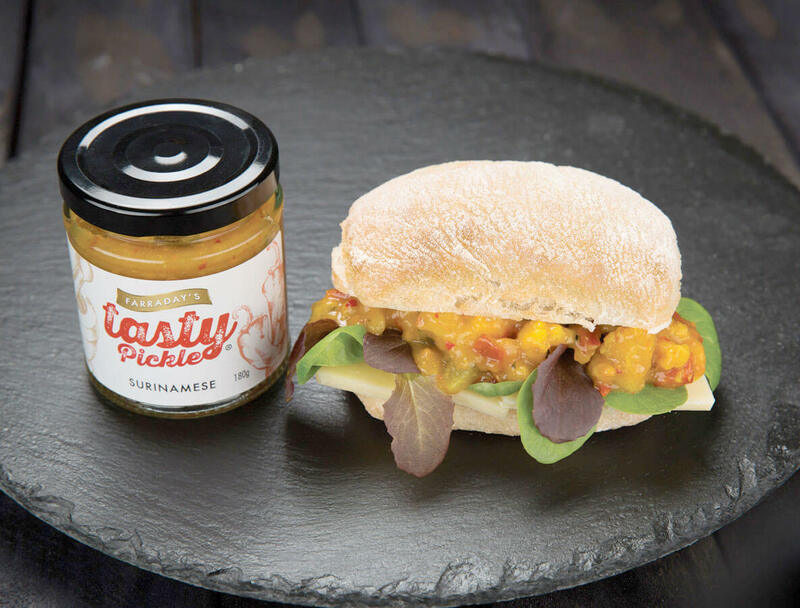 Dont just take our word for it… This is what our stockists think..
preservatives and all natural except our Wasabi Mango Mayo which not natural or free from additives or preservatives.